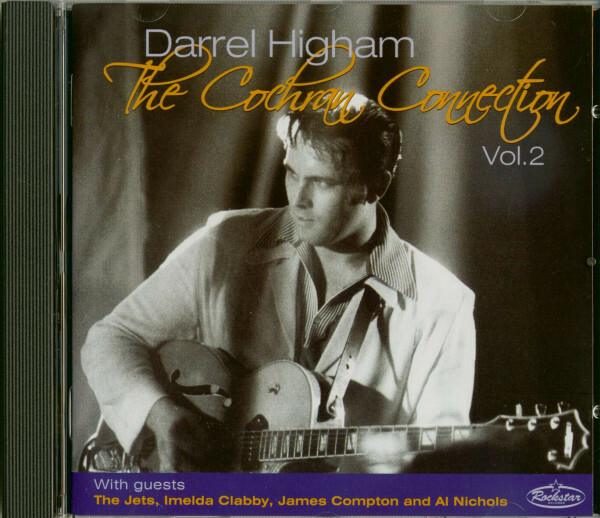 (2004/ROCKSTAR) 20 tracks featuring The Jets, Imelda (May) Clabby, James Compton and Al Nichols; This new CD release is the long-awaited follow-up to the highly-acclaimed 'Cochran Connection' Vol.1 issued during 1998. Darrel is the most in-demand singer/guitarist on the rock 'n' roll scene today, having toured various countries in Europe, as well as the U.S.A and Australia. Volum 1 concentrated on the early part of Eddie's career, featuring not only songs that Eddie had recorded as a solo artist, but also numbers where he had accompainied other artists on lead guitar. This second CD tribute to Darrel's major musical influence consists of the more well-known recordings made by Eddie, such as the rock 'n' roll classics, 'Summertime Blues', 'C'mon Everybody' and 'Somethin' Else'. 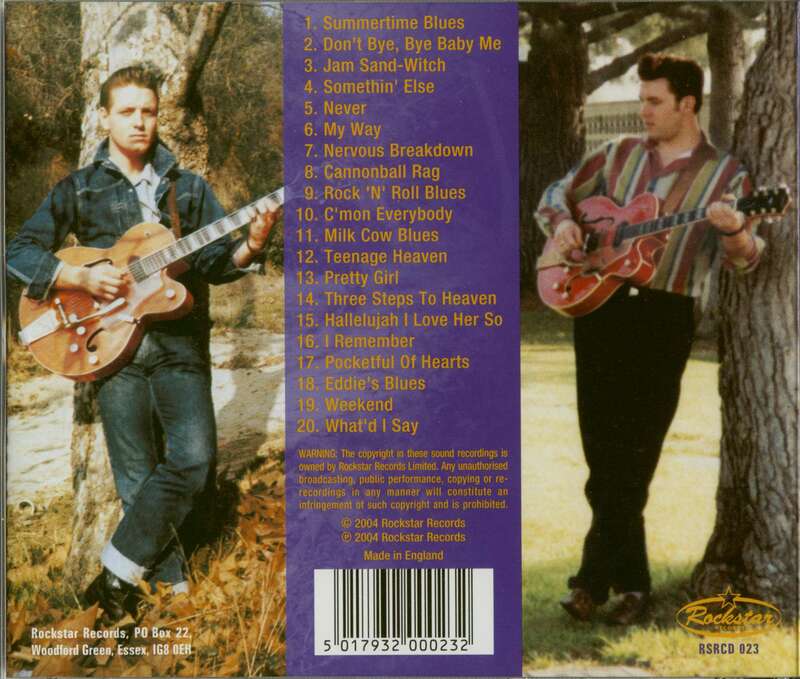 As with the earlier set, the popular rockabilly trio 'The Jets' provide backing vocals on a number of the tracks. Kundenbewertungen für "Vol.2, The Cochran Connection (& Imelda May & The Jets)"